This year Arenaturist starts the peak season with a completely new product that will surely complete its rich offer for guests and citizens of Pula. Golf Range Verudela is located at the sports complex Verudela, near the hotels Park Plaza Histria and Park Plaza Arena. Arenaturist’s new tourist product is intended for guests who want to spend part of their vacation actively engaged in golf and those who want to try the game for the first time. Golf Range Verudela is located on the stunning Verudela peninsula, just 100 m from the sea. 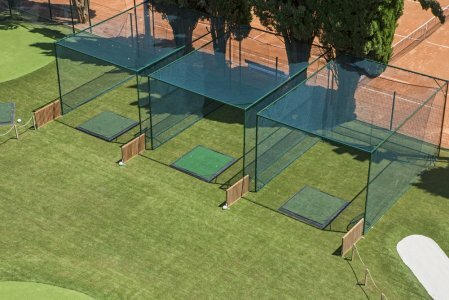 Whether you are a beginner, pro or you just want to have fun with your family or friends, Golf Range Verudela offers you the possibility to develop basic golf skills or improve your existing professional golf skills. The Golf Range, which extends over an area of 1,000 square meters, is designed to simulate all the elements of a professional golf course. Golfing equipment (including left-handed golf clubs) and clothing are provided for all ages.